Walking season is in full swing, so we decided to make submitting walks (and winning in our prize draw) much easier! A much-improved GPX walk editor is now available at your convenience. While you can still use the normal walk editor, you can also simply upload a GPX-file and let the editor work its magic. 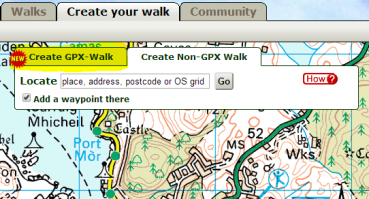 Just click on 'Create GPX-Walk' and follow the instructions. Happy submitting! Sometimes, you don’t need a fixed plan for a good walk. You can also catch up on a w​inter walk in the woods of Hertfordshire. The new ‘Two Together’ railcard entitles you to one third off tickets when you travel with the same person – perfect if you’ve got a regular car-free walking buddy. We’ve also updated our guide to finding cheap train tickets for car-free walking trips. Use our tips and tricks to find a bargain. Our April to June prize draw offers walk submitters the chance to win a Snugpack 500ml aluminium water bottle, provided by PoliMil. More details on the website. To enter, submit a walk before the end of June 2014. Congratulations to the winners of the Car Free Walks hats in our last prize draw. Got any old bits of outdoor kit you no longer use? Why not pass them on to Gift Your Gear, who will pass it on to community organisations, youth groups and charities, helping others to enjoy the outdoors. Good for you, good for them and great for the environment! Beyond the mountains of Snowdonia lies Angelsey. Good bus connections open up much of this island to car-free walkers and there are many routes on our website (thanks to our North Wales correspondent, Pete Roberts). 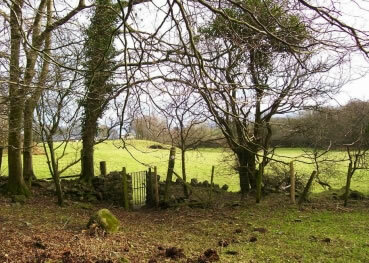 Try this family walk around Beaumaris for starters. This quarter we welcome four new sponsors of Car Free Walks: Ingrid Flute’s Yorkshire Holiday Cottages, Norfolk Country Cottages, Freedom Holiday Homes and Suffolk Secrets. 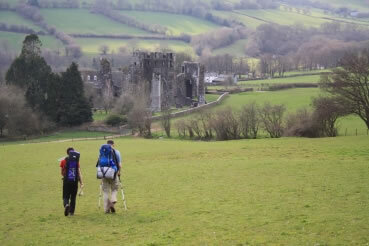 A big thank you to everyone who sponsors our website and helps to keep Car Free Walks running. The next newsletter will be out in July (probably). Please send us any news and until then, happy walking!